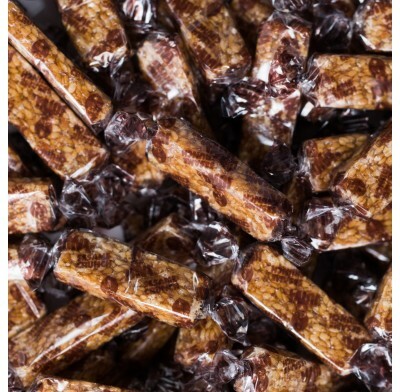 Sesame Crunch from Joyva, the sweet combination of honey and sesame in a bite-sized bar. 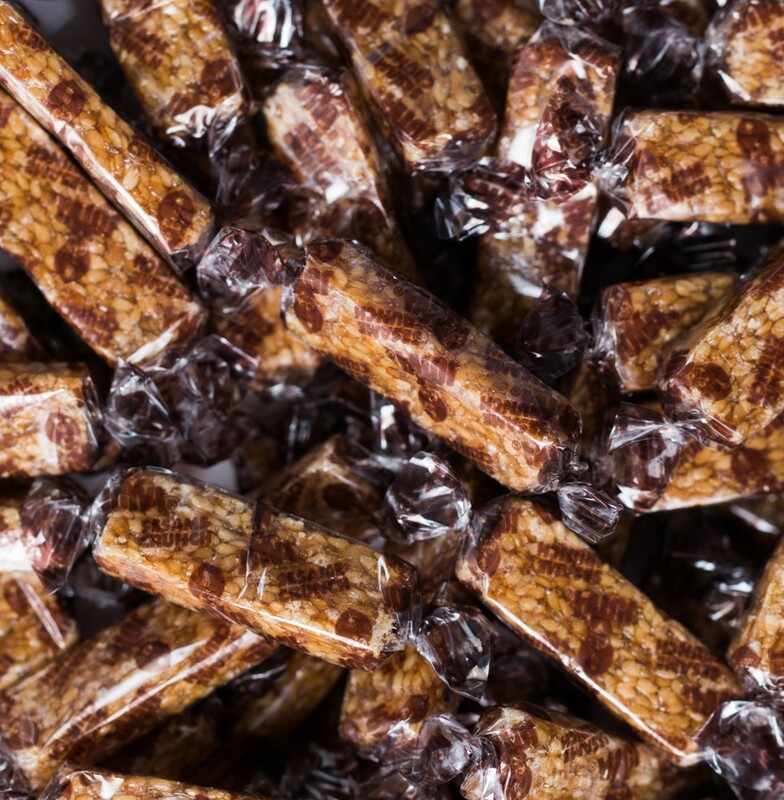 Individually wrapped for your convenience, sesame crunch bars are ready to go wherever you go. Perfect for Halloween, parties and promotions. Kosher Parve. Sold in bulk, delivered in a 5 lb. bag. Approximately 82 pieces per pound.